This 14mm Female Incycler Dab Rig by Grace Glass is a straight neck bubbler with stemless design that features new 3D designed applications and the newly designed Internal filter sponge. 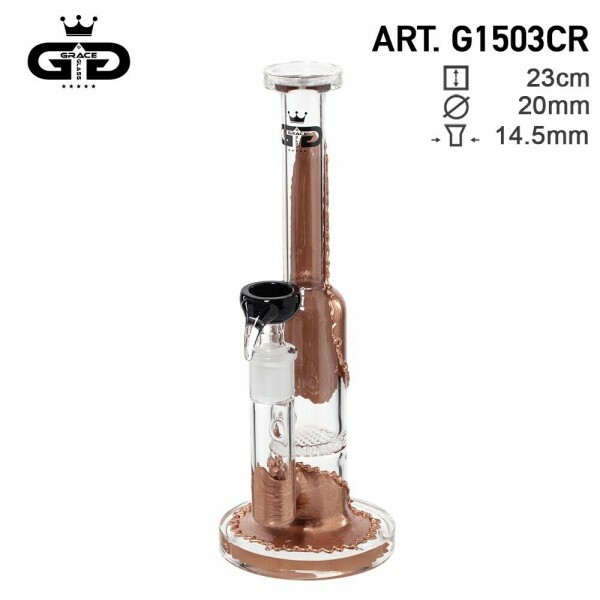 With an height of 23 cm ,this amazing little perc doesn't actually bubble your water but circulates it while cooling the vapor making for an extremely smooth smoking experience. The small design makes this rig convenient to use and travel with. Recommended for oil and concentrates.